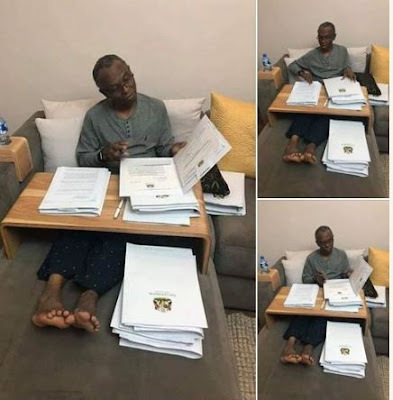 One of the aides of an All Progressives Congress chieftain, Governor Nasir el Rufai took pictures of him in the comfort of his home browsing through a heap of state files. 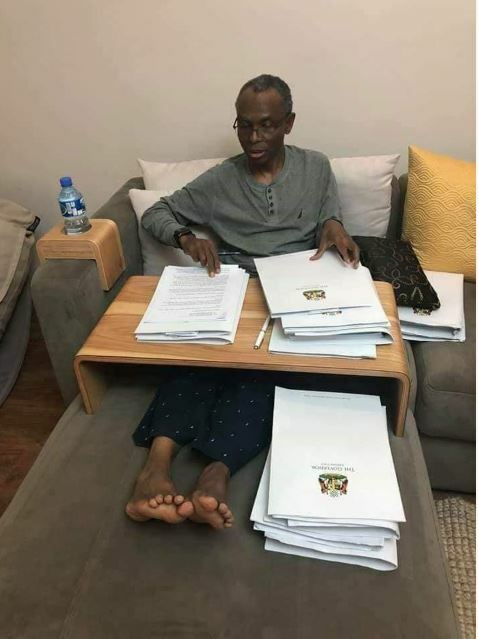 He took a comfortable position on a specialized furniture and carefully went through the documents one by one. Malam Nasir Ahmad El-Rufai, 58, is a Nigerian politician who is the incumbent Governor of Kaduna State and the former Director General of The Bureau of Public Enterprises, the head privatisation agency in Nigeria. He was the minister of the Federal Capital Territory, Abuja from 16 July 2003 to 29 May 2007.